The upper section of this descent is quite awkward with sheer drops on the left. The easiest, and least exposed, route is on the right of the ridge - the left as you are coming down. 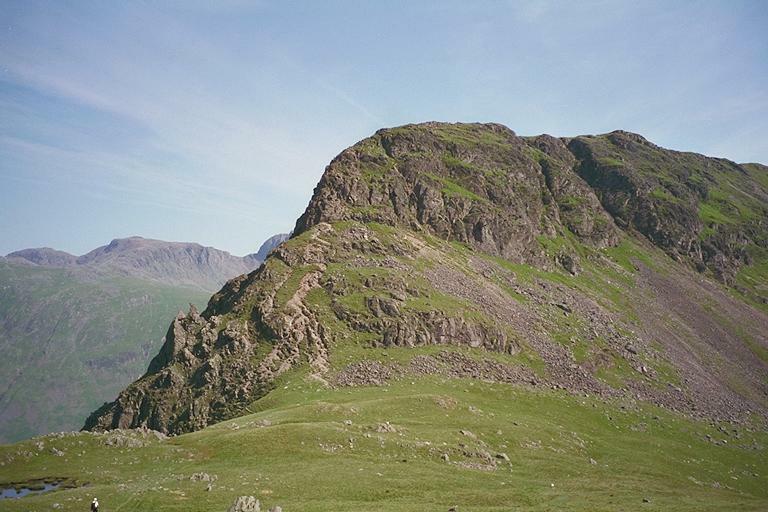 In the distance, from the left are Broad Crag, Scafell Pike, Mickledore and Broad Stand. Smaller version of this picture.